A bunny's birthday is a time to celebrate. 2 Can You Eat a Chicken if It's Cooked With the Giblet Bag in It? 4 How Many Calories Are in Peanut M&Ms? Throwing a proper party for your rabbit is one way to make memories. Pets are part of the family. Just as we celebrate birthdays for the special people in our lives, our pets deserve this same show of affection. Planning and execution of a bunny birthday party is similar to the human form of the event. While the treats and decorations vary, the sentiment remains that of recognizing an important milestone in the rabbit's life. Make the guest list. Consider the socialization of the bunny. If the bunny has played with other pets, they should be considered. Invite friends and family with whom the bunny is familiar. Send out invitations. Create or purchase bunny shaped or theme invitations for the party. Be sure to indicate clearly that the party is for the rabbit and include suggestions for appropriate gifts. Create edible items for decorations. Weave lettuce leaves through the wire on one side of the bunny's cage or create other similar decorations. Regular party decor may be used on walls or tables out of the rabbit's reach. Make birthday treats for the bunny and for the human guests. 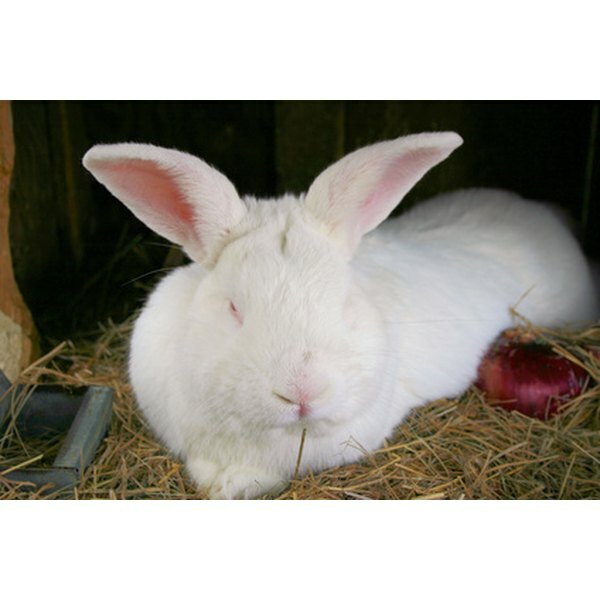 Recipes for rabbit-safe cookies are available (see Resources). Sing "Happy Birthday" to the bunny as it enjoys its treat. Make bunny-shaped cookies for human guests to consume while the rabbit enjoys its birthday treats. Carrots and celery can be enjoyed by human and rodent guests. Plan play time. As with a child's birthday party, let the bunny play with all the presents given by guests after the treats are eaten. Remove some of the gifts after the bunny has had time to check out each surprise. Keep the party low key. Too much noise can cause excitability in the bunny and actually scare it. Be cautious of placing visiting pets into the cage with the birthday bunny. If other animals are invited to the party, designate a social area for them to interact.